In the last three years, Presidential politics brought a series of changes to Latin America that seem to signal a shift away from the ideology of the Left. Though the shift is not (yet) a region-wide trend – Maduro, Ortega, Morales, and others still hold leftist power – it is significant enough in the large southern economies to raise eyebrows in Caracas, La Paz, and other left-leaning capitals. Recent Presidential elections in Brazil, Chile, and Argentina are noteworthy, not just for their potentially large economic impacts on Latin America, but because the voters there cast off their left-leaning leadership despite their own dark memories of right-wing governments. Though the shift may be a response to socialist governance that struggles with corruption and effectiveness, it follows a global rightward trend energized by a populist desire for something different. The most recent election results were disappointing for incumbents in Argentina, Brazil, Chile, Colombia, Guatemala, Mexico, Nicaragua, Panama, and Peru. Most of those went to right-of-center candidates and some represented a complete ideological about face. Whether driven by ideology or simply voter frustration with those in charge, a change is in the air in Latin America and it does not look good for the Left. The electoral downfall of Argentina’s President Cristina Fernández de Kirchner is an example of voter frustration with an incumbent. The wife of former President Nestor Kirchner, Cristina inherited his political identity as Argentina’s Peronist candidate, a reference to the popular President Juan Peron and the political movement he inspired. Considered the dominant political ideology in the country’s modern history, Peronist candidates have won nine of Argentina’s last 12 elections. Cristina’s “accession” to the Presidency as supported by her husband, entrenched the “Kirchner Clan” in Argentine politics in a manner reminiscent of some of the worst aspects of Peronism (the heavy-handed Peron was also succeeded by his wife). Cristina’s penchant for glamour and graft further entrenched the Kirchners in the economy, society, and courtrooms of the country. Once she was out of power, the Argentine legal system began to investigate her corruption and that of her husband; actions which some view as the government simply catching up with what the people already knew. In October 2018, a judge began an investigation of Mrs. Kirchner and her children, Florencia and Máximo, for money laundering. Though this news drew significant media attention, it is not the only case being brought against Mrs. Kirchner. The state is also investigating her for irregularities in awarding public contracts to Grupo Austral in the province of Santa Cruz, the cradle of “Kirchnerism.” She is also being investigated for defrauding the government through the dollar futures market, for trying to cover up the Iranian bombing of a Jewish center in Buenos Aires, and for several other charges related to the abuse of power. The ideological, political, and social division between the “Macristas” and “Kirchnerists”. Nevertheless, Mrs. Kirchner’s ability to survive elections in order to stay in power cannot be denied. 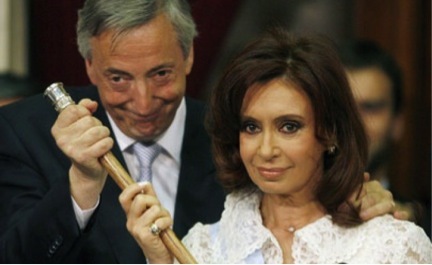 Now a Senator, Kirchner claims with some success she is a victim of persecution by her successor, Mauricio Macri. Despite the polarization between “Macristas” and “Kirchnerists”, she remains popular in large part due to welfare programs she implemented while President. Under her administration, however, subsidies designed to support social groups did nothing to contribute to the country’s economy and led to a large internal debt Macri has been unable to completely reverse. He now suffers from a relatively low approval rating because of external debt generated in part, by International Monetary Fund loans intended to manage the deficit caused by the Kirchners. Sensing opportunity, Mrs. Kirchner is widely expected to run for President again in 2019. One can clearly see a return to the Right in Chile with the end of Michelle Bachelet’s Socialist Party administration and the re-entry of rightist ideologue Sebastián Piñera in 2017. The case of Mrs. Bachelet is similar to that of Mrs. Fernández in that both were the first female leaders of their countries and both came from leftist political parties. The similarities end there, however. Mrs. Bachelet is not part of a family dynasty or the embodiment of a cultural-political movement like Peronism. In the comparatively healthy political environment in Chile, she has traded the Presidency with her right-wing rival for the last 16 years. At the beginning of her first administration – 2006-2010 – Bachelet had a very high approval rating. Chilean voters had elected her with 53.9% of the vote; giving her a healthy seven-point margin and control of 12 of the country’s 13 regions. Her 2014 election was even more convincing when she won an astonishing 62% of the votes; setting up her second administration with a solid mandate for a more progressive program. Among her most notable achievements were the abortion law; the enactment of a union civil law; and the enfranchisement of Chileans abroad. Chilean Presidential politics is a balancing act between Left and Right however and the center-left political group she represented was no longer welcome in Chile. Whispers of corruption began to erode her still great popularity. In 2015, a company partly-owned by Bachelet’s daughter-in-law was investigated for use of privileged information and influence peddling in connection with a land sale. The company, “Caval Limited”, became known as Bachelet’s “secret business” and caused her approval rating to plummet to 35% in a single month in March 2015. By the time of the 2017 election, the desire for change was no surprise. Piñera won a clear victory, with 54.5% of the votes, a nine-point margin over the left-leaning Alejandro Guillier (a social democrat). Brazil provides another example of the shift from Left to Right. In an ideological continuation of rule by the left-leaning Partido de los Trabajadores (PT), Dilma Vana Rousseff won the presidential election in 2010. Though she commanded only a narrow 51.64% of the vote, the win was seen as significant for PT which ruled in Brazil for the preceding 13 years. Rousseff, the first female President of Brazil, hoped to emulate her former boss, President Lula da Silva whom she served as Chief of Staff and Minister of Energy. At the time Lula left office, he was the most popular politician in Brazilian history, enjoying approval ratings of 80%. Like Kirchner however, Rousseff’s corruption prevented her from capitalizing on the widespread popularity of her predecessor. In 2016 she was impeached by the Brazilian Senate for violating fiscal rules and removed from office. Dilma’s impeachment and Lula da Silva’s incarceration on influence peddling charges left PT without a strong candidate in the 2018 election. Reflecting the electorate’s frustration with 13 years of PT corruption, Mr. Jair Bolsonaro, a former Army officer and an “ultra-right” candidate, won the presidential election by a whopping 11 points. Bolsonaro seems like a hard sell in free-wheeling Brazil. A constant stream of offensive comments has been the hallmark of his 30-year political career. Among other things, he has publicly said: he wouldn’t hire men and women with the same salary; he would be unable to love a homosexual son; and that Afro-descendants don’t do anything and shouldn’t procreate. Yet as shocking as he can be, he is the candidate that best embodies the Brazilian people’s disillusion with the Left. Evo Morales Ayma has been the President of Bolivia for a record 13 years. He became the country’s first indigenous leader when he was elected in 2005 with 53.7% of the vote. His reelection in 2009 with 64% of the vote signaled that Bolivia had moved firmly away from the non-indigenous, largely right-wing politics of its past. When he won again in 2014 with 61.3% of the vote he seemed unstoppable. His affinity for Venezuela’s socialist icon, Hugo Chavez, was a cause for concern throughout the hemisphere and particularly in Washington which believed they presented an alternative form of left-wing governance that threatened the established order on the continent. Morales’s political machine appears to be losing momentum, however. Perhaps sensing danger in the state of post-Chavez Venezuela, the Bolivian electorate is expressing a desire for change. The shift in opinion was evident in the results of a referendum on presidential term limits that would abolish term limits and allow Morales to run again in 2019. Not only was this his first electoral defeat in a decade, but it was a clear rejection of his continued leadership of the country. Latin America has a long and difficult history of abuse at the hands of right-wing governments, a fact that makes the rightward trend of electoral politics there a somewhat surprising development. Corruption has played a big part as leaders from both Left and Right have been found guilty of using their positions to benefit themselves and their cronies but it is the Left, which held the majority of Presidencies in the region for the last 15 years, that is receiving the brunt of voter frustration. The failure of the socialist dream in Venezuela is also having far-reaching consequences with well over a million Venezuelans fleeing privation and despair in what used to be the region’s wealthiest nation. The significance of the exodus cannot be lost on voters struggling to reconcile their fears of a right-wing resurgence with their frustration over systemic left-wing corruption. Though it may be too soon to declare the end of the Left, there is a clear desire for change that will leave its mark on elections in 2019. Kirchnerism is poorly defined and probably cannot be considered a political movement in its own right. It can probably best be described as an extension of the heavy-handed left-wing political philosophy of Juan Peron. Ligia Lee Guandique is a political analyst living in Guatemala City, Guatemala. She holds a Bachelor’s degree in International Relations and a Master’s degree in Political Science from the Pontifical Catholic University of Chile. Ligia has worked with human rights-based NGOs and is a regular contributor to The Affiliate Network. In the midst of presidential election season, life in Argentina today is a bizarre mixture of cries for equality and human rights, contrasted with insidious government propaganda, limits on personal freedom and frustrating consumer choice. In October 2015, the citizens of Argentina will elect a new president. For the past twelve years, the large and resource-rich South American nation was headed by a member of the Kirchner family: first Nestor in 2003 and then his wife, Cristina since 2007. Much in the vein of famous Argentine first lady Eva “Evita” Peron, Cristina is a charismatic, populist figure within in the nation, exerting tight control over monetary policy, the media, and those who oppose her controversial policies. The election will prove to be important not only for the nation, but also for the world. While Cristina can’t run due to term limits, a victory for one of her Kirchnerismo Party candidates might signal a continuation of some of her edicts, like allowing China to build it’s first overseas military base in Argentine Patagonia, cozying up to Vladimir Putin’s Russia and his houseguest Edward Snowden, and alleged suspicious dealings with Venezuela and Iran. Uncertain future aside, it is interesting to look past the sensational headlines of corruption and international intrigue to consider the day-to-day life of the average Argentine who lives with the oddities of Kirchnerite rule. Would Argentina’s Founding Fathers- who modeled Argentina’s Constitution almost exactly after the United States of America’s in 1853– recognize the life that Cristina has imposed on the average citizen? While Argentina is famous for its grass-fed beef, wine and Tango, the key to the average Argentine’s heart is soccer, or fútbol. The Argentine league is the third oldest in the world, and no Sunday afternoon family meal is complete without watching one of the local or national clubs on television. Since 2009, Argentines don’t need a satellite dish or a cable subscription to see their favorite local team, international tournaments or even the World Cup. Instead of tuning in to one of the major local networks, fans turn to the government-run TV Publica. Outbidding traditional media conglomerates with a contract nearly double the size of what private companies previously paid, Cristina uses taxpayer dollars to ensure there will be Football for Everyone broadcast on her own personal station. Since there are sometimes weekends with no national soccer games, in addition to Fútbol para Todos, there are Boxing for Everyone and Racing for Everyone as well. Anyone used to paying $99.99 for a blockbuster boxing match will be shocked to see the broadcast free for all. Under the guise of providing equal access across the class spectrum and in an effort to compete with opposition media tycoons, Cristina and her propaganda machine waste no time taking advantage of their captive audience. 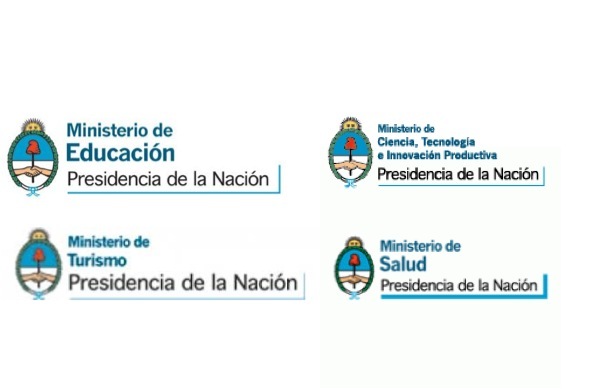 In place of selling advertising time to the highest bidder, the government uses these precious opportunities to reach the people using spots that tout the government’s achievements, or to advertise for the state-owned airline, Aerolineas Argentinas, or the state-owned oil company, YPF. Both of these companies were expropriated from private businesses after takeovers by Spaniards in the 1990s turned sour. In an almost eerie dichotomy with everyday life, the government’s slickly produced propaganda spots show a country where everything works beautifully and everyone is happy. No matter if the commercials are one-sided campaign ads, showcases of nuclear energy projects, satellite launches or simple advertisements for upcoming free sports broadcasts, one clear message is always sent during the final few seconds of each spot: Brought to you by the President. While taxpayers are paying for the production and airtime for the Ministries of Education, Tourism, Health or Science and Technology, each commercial includes a not-so-subtle reminder of who is behind it all. See an example here. Journalists estimated in January 2015 that during its six-year existence, the Argentine people bankrolled a staggering $793 million US dollars worth of government propaganda through the program. Compared to a world where the market demand determines availability and private advertising dollars or subscriptions pay for broadcasts, taxpayer-paid government control of the majority of soccer broadcasting is a small price to pay for the Presidenta to spread her message on a daily basis to households across the nation. Ever since Cristina expropriated the national petroleum company from Spain in 2012, the government controls the price of gas at the pump. Citizens no longer have to worry about the whims of supply and demand, world events or the decisions of the OPEC nations; instead, Cristina’s government ministers decide the price of a liter and then negotiate with the rest of the privately-owned companies to cap prices for six months at a time. Price controls don’t stop at the gas pump. In 2014, Cristina launched a nationwide campaign to control prices and combat double-digit inflation on some 470 items in grocery stores, restaurants, airports, and even motorcycle dealerships. Cristina’s economic team decided that instead of letting market forces drive the price of certain items in stores, the government would set the price. What does the Price Guarding program mean to the consumer? When a shopper visits any grocery chain or Wal-Mart Argentina, a large list of every Price-Guarded item is posted at the front of the store. The store shelves look the same, except there are special Price Guard logos on certain brands of the milk, hotdogs, cereals… even beer. A pack of cookies that should cost $2 is only $1.50- a good savings for the generic, tasteless cookies. Unfortunately, these price controls have unintended consequences. If you don’t like generic, tasteless cookies and instead prefer made-in-Argentina Oreos- well the Oreos that should cost $2.50 now can cost $4.50 or $5. While businesses are not forced to comply with this scheme, more than 100 nation-wide chains have agreed to participate to maintain competitive market share. But Cristina and her team do not trust big business, so they encourage every day citizens to verify Price Guard prices are followed. During soccer broadcasts, government propaganda spots encourage shoppers to print out the Price Guard list and check to make sure the prices are set at the government’s rate. If not, Cristina has set up a 1-800 number and smartphone-app that allows everyone to report businesses for charging extra. When someone calls to make a citizen’s report, the odds are they probably won’t be using an iPhone. Since 2011, Argentina has not permitted the legal import and sale of Apple iPhones. Thanks to Cristina, only cell phones that are locally made can be sold on the legal market. Cristina and her economic team have decided that in order to spark national growth, imports of all kinds will be limited and the local industries will be protected. The idea is to create jobs: now instead of being assembled in Asia, Samsung phone parts are shipped across the Pacific so that they can be assembled in country by Argentines and then considered a legal product. The same goes for televisions, refrigerators, even cars. If someone really, really wants an iPhone, there are options. Besides the healthy trade on the black market, one could order the phone (or any other prohibited foreign item) through a site like the US’s Amazon. If the phone costs $300, the buyer is responsible for paying the $300 cost of the phone and shipping to Amazon, and then an additional 50% tax to the Argentine government. A $300 phone will cost around $500 and require a trip to a local customs office for pickup, because Cristina doesn’t allow foreign deliveries to be sent directly to your home. Home delivery makes 50% tax collection complicated. So if the average citizen of the Argentina has decided to save $300 of his or her hard-earned salary to buy an iPhone, unfortunately that citizen can’t buy one in a local store. Instead, he or she must save $200 extra to order from overseas, or cross the border to Chile or Uruguay to buy one there. Many weekends, especially holidays, there are six to eight hour lines at international border crossings, allowing citizens to purchase Apple Products, Kitchen-Aid Mixers, X-Boxes or Lego toys for their children. On the way back into Argentina, they of course need to hide these products from customs so they don’t have to pay the 50% tax. While the import substitution policy protects local workers and the economy in theory, in practice it creates a class-based unfairness that even eclipses the most pure free-market capitalist society. The wealthy, mobile political class can and do afford travel overseas to buy superior products. The average worker has no choice but to buy inferior or obsolete products, based on the rules imposed by the supposedly well-meaning political class. In true Animal Farm style, political leaders artificially determine the market in the name of the “good of the economy,” while jet-setting to the United States or Europe to buy the same products they keep from the people. Supporters of the three consecutive Kirchner administrations trumpet accomplishments on human rights, reparations from the most recent military junta, equality, social justice and Argentine sovereignty. While Cristina and her husband do deserve some credit, it is not enough to outweigh the restrictions imposed on personal freedom of action and thought as illustrated above. Surprisingly enough, there are many more examples that would elicit similar reactions. In 1853, Argentina’s forefathers based the Argentine Republic’s Constitution on the model of the Constitution of the United States of America. By 1914, Argentina had become one of the world’s richest nations. A century later, Argentina was ranked second out of 108 nations in the CATO Institute’s 2015 economic “Misery Index,” only less miserable than Venezuela and slightly more miserable than Syria, Ukraine and Iran. Ten more pages would be required to even start to explain how a nation- a Republic- based on Constitutional freedoms is embroiled in a “separation of powers crisis” and now looks more like an Orwellian, Big-Brother State. Through a complicated history filled with crises, coups and collapses, Argentina is again in trouble despite its many natural resources and deep cultural diversity. In addition to continued government meddling, there is also a risk of the pendulum swinging too far in the opposite direction as it has in the past. After twelve years of Kirchnerite rule, international investors are licking their chops, imagining a presidential victory for an opposition candidate that would reopen Argentina to the world market. Some pundits fear a repeat of the 1990s, when neoliberal policies allowed international corporations and investors to take advantage of industry privatizations that did not benefit the everyday Argentine. Whatever the outcome of the election, an unbiased observer can maintain an cautious optimism for the nation of Argentina that the next executive can prioritize the rights and freedoms of its people above personal ambition, enrichment and control. It may seem trivial to focus on fútbol, price controls and consumer purchasing freedom when the Kirchner administration has been accused of large-scale corruption, repression, and even murder. But the reality for the everyday Argentine citizen speaks more to the state of the republic than the high-level political scandals. In a nation based on the US model of individual rights and freedoms, the political devolution of all-powerful populist executives has left life in Argentina today far from what her founders envisioned. Jared Wilhelm is a Naval Aviator who served two deployments in Africa, Central America and Europe as a P-3C Orion Maritime Patrol Pilot. He is currently attending the National University of Cuyo in Argentina as part of the General George Olmsted Scholar Program. The views expressed are those of the author and do not reflect the official policy or position of the US Navy, the Department of Defense, the U.S. Government, or the Olmsted Foundation.